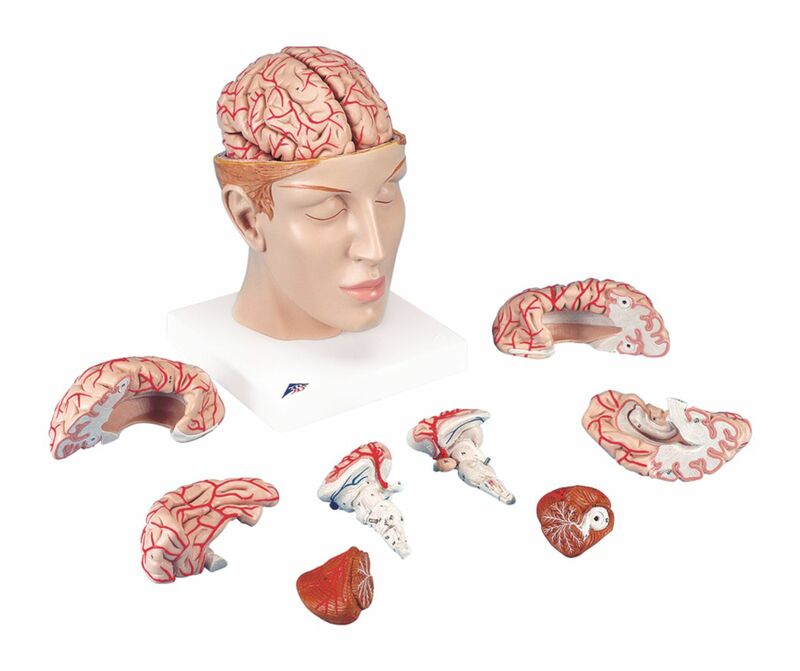 This deluxe brain comes with opened head to allow detailed study of the brain's position in the skull. The human head is horizontally divided above the skull base. This medially divided deluxe brain model shows the brain arteries in detail and the basilar artery is removable. Both halves of this brain model can be disassembled into: Frontal with parietal lobes, Temporal with occipital lobes, Half of brain stem, Half of cerebellum. The classic brain is a great tool for education on the human nervous system and anatomy of the brain. The brain in a head base is delivered on a base.